Tenerife is the largest of the seven Canary Islands. Located about 185 miles from the coast of Morocco, Tenerife has been inhabited in some form since 200 BC. It was conquered by Spain in 1494 and continues to be held by the country as an autonomous community in the Canary Islands. Today there are nearly 900,000 people living on the island. About 220,000 of those people live in the capital of Santa Cruz de Tenerife, a city on the northeastern horn of the island. The island is particularly diverse thanks to the large influx of residents in the area; it is estimated that nearly 200,000 people have moved onto the island in the past twenty years. A vast majority of jobs in Tenerife are in the service industry as a means of catering to the extensive number of tourists who come out to the area every year. About 78% of the jobs market focuses on service while about 11% focuses on construction. The industrial sector has been progressively growing in size. The GDP in Tenerife is estimated at a total of $219 million. This is growing at a rate of about 3.5% per year. Much of this is thanks in part to the extensive tourism industry that continues to grow. However, as the neighborhoods show, Tenerife is home to many places that are great for retirement or investment purposes. Thanks in part to its extensive growth and its large variety of different spaces for living, there are many different properties for people to take a look at when moving to Tenerife. A large number of properties in Tenerife are villas that were established with two purposes in mind. First, many of them were established to house people who want to enjoy fine vacation or retirement homes. Second, others were created as a means of being used as rental properties. It is estimated that the average home in Tenerife is worth about €228,000 as of the third quarter of 2014. The values of homes in the area have been relatively consistent for the past decade. The smallest one-bedroom homes can be found for as little as €125,000 on average. The neighborhoods around Tenerife include a number of varied and entertaining spaces for people to visit and relax in. Santa Cruz: a highly popular area on the northeastern part of the island for offering a more urban atmosphere while offering access to the Anaga forest and mountain range. Los Gigantes: Located near some large cliffs, this town is mostly quiet and has a strong English influence to it. It is also not too far from Playa San Juan, one of the fastest-growing tourist communities on the island. Puerto Colon: is on the southwestern part of the island. This is a large marina town that is home to some of the largest yacht and sailing clubs around. Alcala: this area is also on the west coast and is a large rocky community that functions predominantly as a fishing village. It has become a popular place for retirees over the years. Tenerife is home to the University of San Fernando de La Laguna. The school has been around in some form since the late eighteenth century. This was the first main school on the island as the land had focused on religious orders beforehand. The island also houses the Menendez Pelayo International University. This is a school which has focused on social sciences over the years and today is working in the field of renewable energy. In addition, there are hundreds of schools located all around Tenerife. There are nearly 300 primary schools and 140 secondary schools around the island as well as campuses for dozens of different colleges and universities. 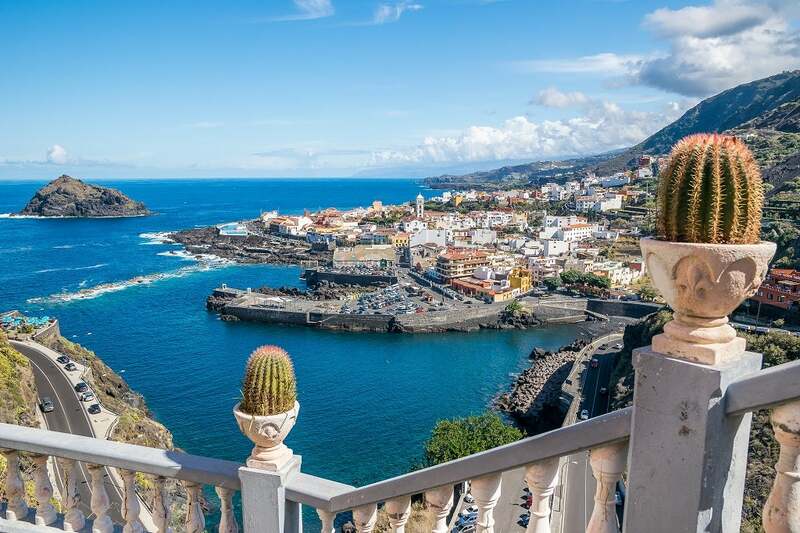 The cost to move into Tenerife will be rather high due to the need to move out onto a remote island spot that is not too far from the coast of Africa. It may cost close to £3,600 to £4,000 to move an entire property’s worth of goods into a new home in Tenerife. Tenerife will make for an ideal place to live and do business in. This land is filled with a vibrant and unique lifestyle with plenty of things to do. It all takes place in one of the world’s fastest-growing areas. People who live in Tenerife often engage in an extensive variety of activities. Many locals on the island will spend a good part of the day fishing to get fresh fish and seafood for the day. Meanwhile, people in the urban spots of Tenerife, particularly in Santa Cruz, often spend much of the day in a number of different professional environments. There are many jobs in the banking and commercial sectors. Oil drilling jobs have also become rather commonplace in recent time as well as jobs with regards to managing money. This comes as many people secure their funds in the Canary Islands thanks in part to the area having a lower tax rate than what is found elsewhere. The construction industry has also taken off. Many people will spend the day building new homes and other properties around Tenerife in order to keep up with the intense demand that comes with getting new spots in the area. The things that people do for recreational will vary throughout much of the year. While there are many forests and parks around the island like the Teide and Anaga forests plus a number of vast mountains, many people will spend the evening celebrating life around the beaches and clubs along the island. The land is known for its intensive Spanish culture with some English influences thrown into the mix. Residents around the island are heavily inspired by many cultural activities that are native to the land. These include such popular activities as painting, sculpture work and music. Many of the people also enjoy eating fine local foods in the evening. These include fish-based products for the most part although wrinkly potatoes have become especially popular. These are potatoes that are boiled in their own skins in salty water. The water can then evaporate, thus creating a salty crust surface on the potatoes. There are many special celebrations that are held throughout the year with the Carnival of Santa Cruz de Tenerife in February being the most prominent. This is a famous carnival event similar to the one in Brazil and is known for its elaborate floats and parties. People in the region are also devoted to their religious values. Much of the island is Roman Catholic although the Jewish, Muslim and Hindu faiths have become more prevalent as people from all corners of the world begin to move out here. Many also engage in a variety of sporting activities. While water sports, football and volleyball are the top sports in the region, many native sports can be found on the island as well. These include Canarian wrestling, a sport where two wrestlers are on a circular sand pit and have to face each other until one is taken down. Bola canaria, a game where people roll balls as close to an item as they possibly can, has especially been popular on the island in recent years. This game is rather similar to boules, a sport that is already popular in France.